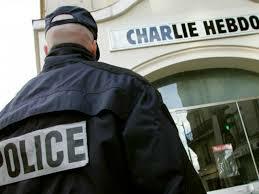 Home Tags Posts tagged with "french media"
According to French officials, 12 people have been killed and seven others injured after gunmen attacked the Paris office of satirical magazine Charlie Hebdo. At least two masked gunmen opened fire with assault rifles in the office and exchanged shots with police in the street outside before escaping by car. A major police operation is under way in the Paris area to catch the killers. The latest post on Charlie Hebdo‘s Twitter account was a cartoon of the Islamic State militant group leader, Abu Bakr al-Baghdadi. The satirical weekly has courted controversy in the past with its irreverent take on news and current affairs. The magazine was fire-bombed in November 2011 a day after it carried a caricature of the Prophet Muhammad. People had been “murdered in a cowardly manner”, Francois Hollande told reporters at the scene. “We are threatened because we are a country of liberty,” he added, appealing for national unity. Two of those killed are police officers, AFP reports, and several of the wounded are in a critical condition. An eyewitness, Benoit Bringer, told French TV channel Itele: “Two black-hooded men entered the building with Kalashnikovs. The men were then seen fleeing the building. Police have warned French media to be on alert and pay attention to security following the attack. France was already on the alert for Islamist attacks after several incidents just before Christmas. Cars were driven at shoppers in two cities, Dijon and Nantes, and police were attacked by a man wielding a knife in Tours. While the French government denied the attacks were linked, it announced plans to further raise security in public spaces, including the deployment of around 300 soldiers. Google has agreed to create a 60 million euro ($82 million) fund to help French media organizations improve their internet operations. It follows two months of negotiations after local news sites had demanded payment for the privilege of letting the search giant display their links. The French government had threatened to tax the revenue Google made from posting ads alongside the results. The US firm had retorted it might stop indexing French papers’ articles. In addition to the creating the Digital Publishing Innovation Fund, Google has agreed to give French media access to its advertising platforms at a reduced cost. The compromise allows it to avoid paying an ongoing licensing fee. 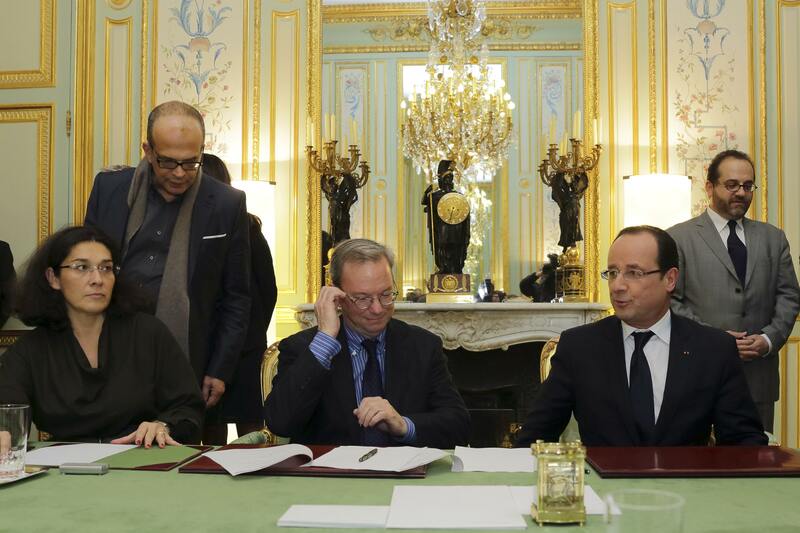 “France is proud to have reached this agreement with Google, the first of its kind in the world,” the French president’s office said on Twitter. “It appears Google have opened the door to other countries’ newspapers doing the same thing,” said Ian Maude, head of internet at Enders Analysis. The search giant has also made efforts to resolve a separate European dispute. It has filed proposals with the European Commission stating how it intends to deal with complaints made by Microsoft and more than a dozen other companies that it had broken competition rules. The European regulator will now consider Google’s proposals, which have not been disclosed. If it rejects them and finds the firm has broken its rules, it has the power to fine the firm up to 10% of its global turnover which could amount to more than $4 billion.